Maybe 4.5 stars. An exceptionally fine story which defies neat genre assignment. It won a Nebula Award, so I feel somewhat safe calling it fantasy, but this is a great, thought-provoking tale for any reader. Published in 1986, it argues against the proposition that women didn’t write or weren’t recognized for writing first-class fantasy and science fiction. In fact, all the major characters of this tale are women. The men seem included for merely verisimilitude. 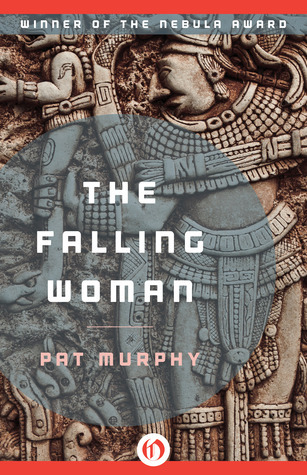 Much good information about the ancient Mayans and the field of archeology, without the clumsy data dumps so intrusive in so many novels. It also explores how mothers and daughters have extra power to drive each other crazy and/or help each other out of it. Good job. Quibble: The paragraphing is so awkward that the reader must often stop to puzzle out who is acting or speaking the actor often changes midway through paragraphs. This entry was posted in Book, Reviews, Ron Andrea and tagged archeology, fantasy, fiction, mother-daughter, Nebula Award winner by andreart2013. Bookmark the permalink. A good book review. Sounds like a good one. Maybe next year when I lower my stack. Thank you.